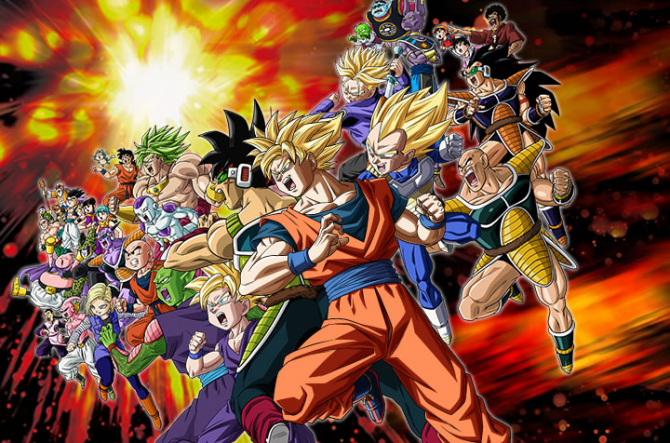 Following the Australian rating found for the game two weeks ago, Bandai Namco Entertainment has revealed that the 3DS-exclusive Dragon Ball Z: Extreme Butoden will coming to Europe and Australasia on October 16th and October 20th in North America. 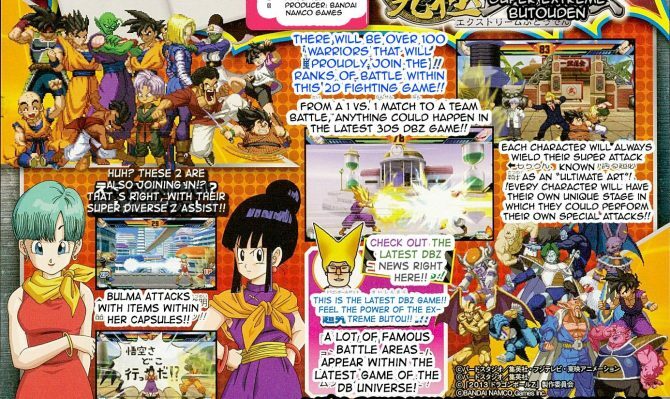 As already revealed, the game is developed by Arc System Works. 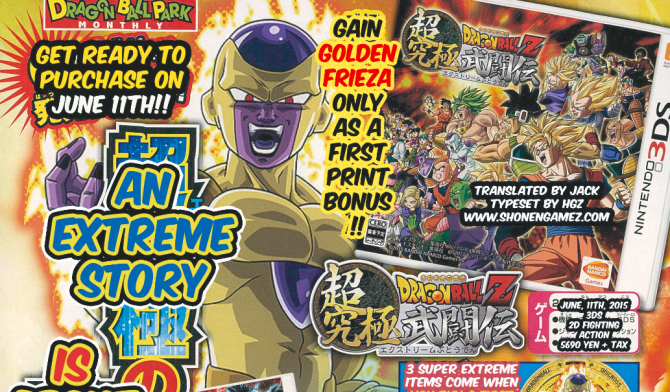 Dragon Ball Z: Extreme Butoden was released in Japan on June 11th.